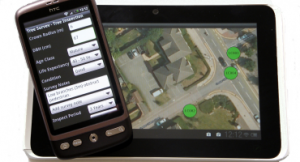 OTISS is a new approach to Tree Survey, Risk Assessment and BS5837 software using innovative web and mobile technology. It is built around the use of smart phones and tablets (with GPS, 4G, WiFi, cameras, etc) or rugged GIS data collectors – backed by a comprehensive, secure website. The mobile devices are used on-site and they sync maps, photos and inspection data with the OTISS website. The website is then used to view, update and share the survey data, and to generate reports. You have access to online maps for on-site surveying and data entry. 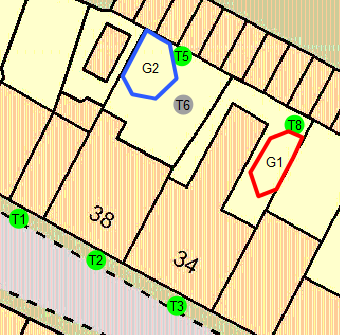 Plot directly onto your own site plans, architects plans, Ordnance Survey maps, topography plans, geo-referenced maps or aerial photos. 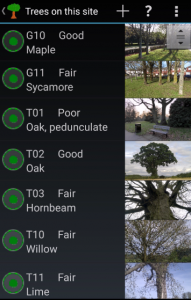 The Tree Safety Survey and BS5837 Survey Android apps on mobile phone or tablet integrate with OTISS to allow you to carry out on-site surveys. Excel Reports with tables and charts can be tailored to your needs. Copy the charts and tables into your final report. Example PDF Reports (with your logo) containing coloured charts, graphs and tables. High quality maps and printouts can be prepared using your own CAD application to combine your existing maps and site plans with CAD/DXF files provided by OTISS. Send Google Earth (.kml files) to customers showing the surveyed trees. OTISS is a shared repository of on-line maps and data that is used within your organisation and with your associates. Under your control, they have access to view and update the data as required. All information is accessed from a secure website, with authorisation controls and guaranteed backup procedures. All survey data can be downloaded in a variety of formats to integrate with your existing systems. OTISS has an increasing range of features, survey types and platforms. You can provide your clients with access to online maps, survey data and reports – with your logo on all webpages and reports. Over successive surveys, your clients see the ‘duty of care’ audit trail of the tree safety inspections. Clients can also view the maps and trees on-site via their phones – allowing them to report issues directly to you for maintenance or further investigation. Being on-line brings many opportunities and for sharing reports, maps and survey data with your clients; and for collaborating with other arboricultural professionals. At present, OTISS is focused on providing BS5837 and Tree Safety surveys using Android phones and tablets, with an increasing range of features, survey types and platforms. Documents: attach documents/reports/files to trees. Maps: online maps; user supplied maps, architects plans, CAD DWG drawings, Ordnance Survey maps, OS Mastermap, topography plans, geo-referenced maps or aerial photos. Reports: Template driven Excel reports, PDF reports with your logo and company name. Data export: All data immediately downloadable as Excel spreadsheets or CAD/DXF drawing. Provide clients with online access to view/share survey data and maps. Online collaboration for performing surveys with other arboricultural professionals. Surveys types: CAVAT, TEMPO, TPO, Hedges, Bat, Ecological.